Fans of Tonight Alive have been patiently waiting for the 1st single of their highly anticipated 3rd album. Well it's finally here! "Human Interaction" was released on the band's Vevo account on Oct 30, and that's not the only good news for fans. The band also announced a headlining world tour with Set It Off in early 2015 to support their new album titled "Limitless", and gave a March 4, 2016 release date. Click this (link) to preorder the album on iTunes. Stepping even further out of Paramore's shadow, these five Sydney natives have crafted a song that is unmatched in power and grace. But while it's a new maturer TA, it's not the TA we've come to love. They follow Bring Me The Horizon's example and try their hand at electronic rock in this new song. Front-woman Jenna McDougall has stated that, "Limitless is a record that is just as much about redefining boundaries as it is about challenging the illusory concept of boundaries itself. Our mission in both the song writing and recording process was to dissolve all restriction and repression of the mental, physical, and spiritual." And on that note, let's dive into this review. 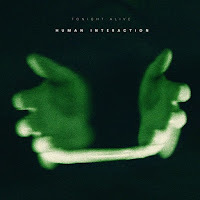 The title of the song kind of speaks for itself, "Human Interaction". You should be able to figure out what the lyrics are about. Jenna has developed her voice into one of the most emotive in music. In addition, her song-writing skills are just as perfected. Lyrics like, "I don't know love, I don't know hate. I am numb, wish I could find the words to say..." this song stays true to the band's emo beginnings. And the opening verse is an entire masterpiece in its own. But the rest of the band doesn't met the standard their leading lady has set up. The pace is lethargic at best. 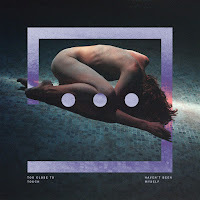 Matt Best's usually high energy drumming has been reduced to the simple 808 beats found in ever pop song on the radio. And Whakaio Taahi's impressive guitar solos have been traded in for acoustics that don't make sense in an otherwise ambient song. Acoustic guitars aren't known for melodies in this style/genre. They provide the rhythm while the vocals give the listener the melody. So having the two opposing instruments doing the same job results in something sounding kinda off. The worst thing about this is the production. Have our favorite Aussie's fallen victim to the major-label curse of over-production and vocal effects? Yes and no. There's too much going on in the song. It should either be an electronic rock ballad, or a stripped acoustic piece. Instead the production finds something in the middle, resulting in a mess of a song. Though her voice isn't too drowned out in effects, Jenna is one vocalist who should never have her voice tampered with. Like other powerhouse females (Hayley Williams, Gwen Stefani, Lzzy Hale, Taylor Momsen, and Amy Lee come to mind) their voices make their band's songs that much more memorable. Can you imagine "Ain't It Fun" or "Bring Me to Life" with sampling or autotune? Why oh why did TA think it was a good idea to release this song as the band's first single off their new album? Every bit of praise this band earns they deserve. They've worked long and hard to get where they are. That being said, this song doesn't do the band justice. The lead single has just thrown us for one hell of a loop, and left us scratching our heads. The album's producer, David Bendeth, is also the man responsible for We Came as Roman's latest album. Though the two bands are usually thought of as on opposite ends of the musical spectrum, their producer has brought them closer under the guise of electronic, alt. rock. Tonight Alive, we at Inspired By... love you, but please don't get caught up in all the major label drama. What was the band thinking releasing this has their first single? After "The Edge", which was an upbeat alt. rock number that evoked memories of Paramore's "Monster", we are treated to this dull and over produced attempt at getting more radio plays. A bit harsh? Yes. 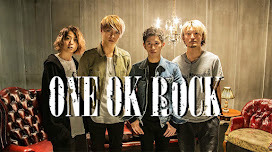 But given that this is the band's 3rd album, we expected a lot more from them. Look at fellow Warped Aussie alums Hands Like Houses. Now there's a band who know what they're doing, and they're doing it right. Labels: fearlessrecords , handslikehouses , humaninteraction , limitless , paramore , theedge , theotherside , tonightalive , whatareyousoscaredof?